You are currently browsing the tag archive for the ‘A1C Gallery’ tag. It is virtually impossible to miss that it’s clearly ‘festival’ season in St. John’s, NL. From the Nickel to Wreckhouse and on to the Festival of New Dance, there is absolutely no shortage of entertainment. With Neighbourhood Dance Works (NDW) at the helm for the 19th season, the Festival of New Dance has packed a baker’s dozen of performances and presentations in from July 21 to 26th, along with a sprinkling of parties throughout. What’s exceptionally interesting this year are some of the venues. Calla Lachance, Program and Publicity Administrator, explains planning for this year’s festival was challenging but worthwhile. “Without the LSPU Hall, you begin to realize how limited downtown is for presenting certain forms of art, dance in particular. This city really needs another mid-size theatre that can accommodate more performance art,” Lachance says, adding her voice to the many from within the arts community who’ve been recently lobbying for a new venue. With a desire to keep venues within walking distance from one another in the downtown area, NDW looked up its options Lachance continued, “it’s exciting because we had to visualize how other spaces might work and what would best showcase dance artists.” The mix of venues turned out as eclectic as the dance, including the Kirk, A1C Gallery, Cochrane Street United Church, Wild Lily Dance Centre as well as three outdoor venues like Pippy Park, the Eastern Edge Gallery parking lot and stairs adjacent to the Supreme Court. Look out! Some highlights of this year’s presentation include streamings, choreographed by St. John’s native Tammy MacLeod featuring Andrea Tucker, taking place at the Kirk July 25th and 26th. Also, two-time Dora Award winning choreographer Susie Burpee from Toronto has created The Rolling Parlour Cabaret, at the A1C Gallery, its title inspired by Winnipeg singer/songwriter Christine Fellows who performs live within the show. Working with Victor Tilley for lighting and Chris Driedzic on the complimenting soundscape which includes recordings of Rennie’s River and a soda can, the show developed over improvisation. “As the movement vocabulary emerged so did the chairs, black holes and the possibility of emulating birth on stage. The birth imagery has remained consistent through the many incarnations.” Originally MacLeod was also on stage when the work was informally presented at the Backdoor Cabaret in January 2008 (then titled Trusting Chairs). 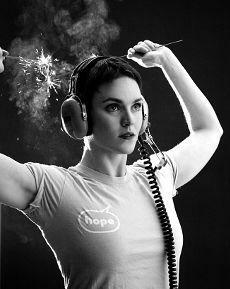 For Susie Burpee, the ability to perform cabaret-style is an attractive feature of the Festival of New Dance. She was drawn by a call for works that could be performed outside of a traditional theatre-style venue. Her 45 minute show is armed with “themes of solitude, fragility and fortitude,” she explains. Credited by the Toronto Star with an ability to showcase “fully human characters struggling for connection,” Burpee uses “metaphor that exists in movement, song and special objects” to convey the world’s wonder and fragility. The Rolling Parlour Cabaret marks the fifth time that Burpee has collaborated with Christine Fellows and initially was inspired by “the idea of spinsterhood,” Burpee shares. “I am interested in movement that is transformative and creates a character for the stage,” she adds. Burpee’s signature presentation style is a fusion of vivid imagination and bold choreography. Her background in theatrical study supplemented with dance training gives her work a point of view like no other. And Burpee’s studies continue, having recently attended L’Ecole Philippe Gaulier in Paris for Bouffon. More information on either of these shows as well as a full festival schedule, program notes and biographies are available at www.neighbourhooddanceworks.com. 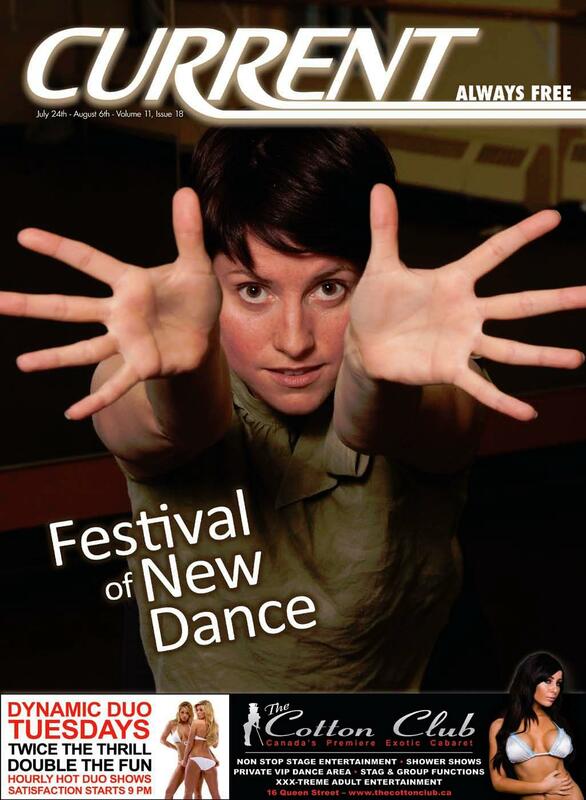 To check out any of the presentations of the 19th Annual Festival of New Dance, tickets and passes can be purchased at the Holy Heart Theatre box office in person or by phone at 579-4424.